Celebration of Life Memorial Gathering for Barbara Walston, age 74, of Bedford, Iowa will be held Thursday, March 28, 2019, 5 PM to 7 PM, at Cummings Family Funeral Home. Memorials may be directed to the family for a memorial to be established. Memories and condolences may be shared with the family at www.cummingsfamilyfuneralhome.com under Obituaries. 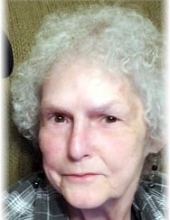 Barbara Ann (Jones) Walston, was born August 10, 1944, and entered into rest March 23, 2019. Barbara was born in Conway, Iowa to Leland and Beulah Rose (Phillips) Jones. She attended grade school in Conway, and graduated Bedford High School in 1962. She married John Donald Walston of Bedford in 1962. To this union was born Sonya Kay (Ron Courtney) of Louisville, Kentucky, Michael John Walston of Camano Island Washington and Paul Edward Walston (Molly) of Bedford. A graduate of IBM Business School, Barbara was well known around Bedford for her tax preparation work. She also worked for attorneys, Jones and Jones of Bedford, and Jerry Wieslander, of Des Moines, Iowa. Barbara enjoyed working and also had a small bookkeeping company, and was a secretary of the Taylor County Fair Board at one time. She and her former husband, John, owned and operated Walston Real Estate and Insurance Company. Barbara was a licensed real estate broker and insurance agent with this company. Barbara enjoyed reading, watching old movies, listening to music, visiting with her children and grandchildren and doing crossword puzzles. Barbara was preceded in death by her parents; brothers Robert, Richard and Gary Jones and sister-in-law Janet Jones. Barbara is survived by her children; 7 grandchildren, Amber Matthews, Joshua Matthews, Nichole Golembieski, Jackie Walston, Shane Walston, Maddy Walston and Silas Walston; 7 great-grandchildren, Tessa Gilbert, Holdyn Gilbert, Jaxxsyn Gilbert, Christian Matthews, Maleigha Matthews, Joshua Matthews Jr., and Emersyn Golembieski; special friends Phyllis Jones and Carol Russell along with many other family members and close friends. Barbara will be sorely missed by all that knew and loved her. A Celebration of Life Gathering for Barb will be held Thursday evening. Casual dress is requested by the family. "Email Address" would like to share the life celebration of Barbara Walston. Click on the "link" to go to share a favorite memory or leave a condolence message for the family.